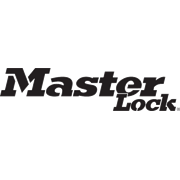 The Master Lock Chain with Integrated Keyed Lock is 90cm long and features 8mm diameter hardened steel links, offering resistance to cutting and sawing. The nylon sleeve provides additional protection for equipment. The disc key cylinder provides anti-picking resistance.